Legally Strawberry Blonde: New Favorite Mascara and More! New Favorite Mascara and More! 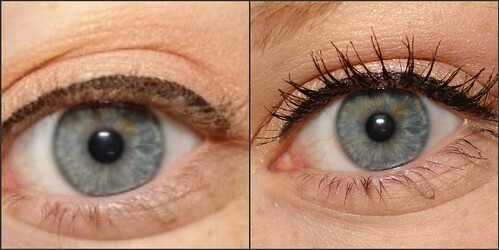 I thought it was time for a review on my new favorite mascara, Maybelline's "The Falsies". 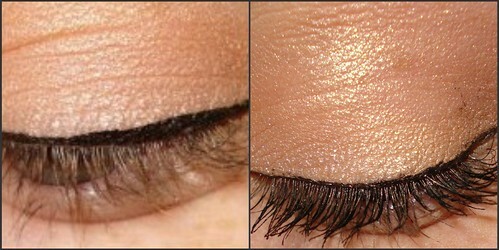 Maybelline claims that this will give you the look of false lashes without the actual need of false lashes. And while I may not go as far as saying that they are falsies in a tube, they come pretty close. I've been a Covergirl Lashblast girl from the get-go, but I've never felt completely whole with it. It the huge brush was awesome for packing on the volume but never did maneuver well on my lashes. I bought "The Falsies" on a whim at Target since it was only $5.04 (really do we need the extra four cents, can't we just round it somehow?) and to be honest I wasn't expecting much. In fact, I thought I should also but a tube of LashBlast in case this failed. But I didn't. And I didn't have to. This stuff is like lash crack. It does amazing job coating every lash, and all of it. No more blonde roots peaking out! The wand is what had me in awe (if one can even be in awe from a mascara). Its a traditional bristle applicator but it has a slight spoon-like curved. And the applicator itself it very flexible but not flimsy. I start with the curve side down, apply then switch to the curve side up and that helps me get inside all the little corners of the lashes, allowing a full, rich, flawless application. Of course this is with the aid of a lash curler. I picked up the E.L.F one for a buck, and it works well, eye lash curlers do not have to be $25! Overall, I'll give it an A. Just Maybelline, don't air commercials for this mascara saying no false lashes needed when the models are in fact sporting very big, fake lashes! 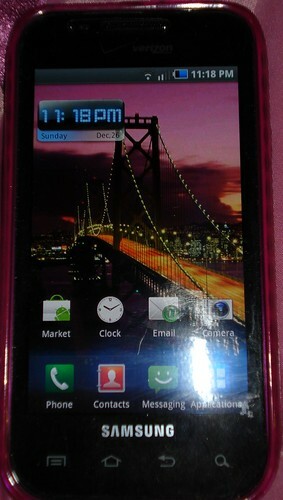 He was good to me, got everything on my list but instead of a Droid 2 I helped him decide the Samsung Fascinate is even awesomer! And my new techbaby, haha! The screen on this is like unbelievable, photo does not do it justice!